More info on Earnest Sewn's 6,000-square-foot boutique opening at Beverly and Gardner February '09 comes from FWD, including the fact that Babycakes NYC bakery will take up an impressive 1,200 square feet inside the store. There will be patio outside to accompany. 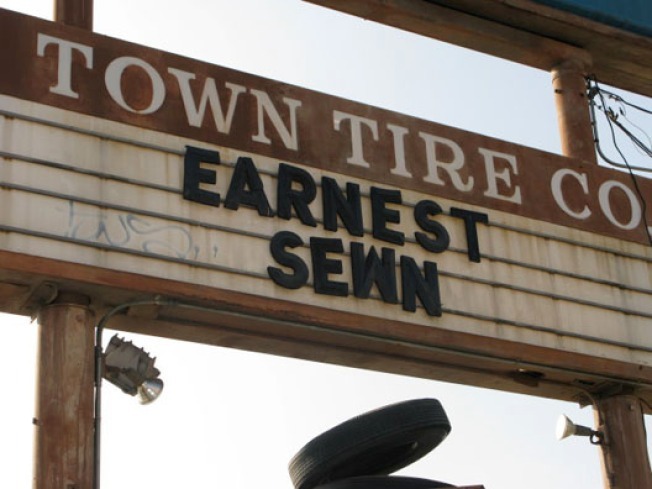 Earnest Sewn prez and designer Scott Morrison will be at the helm in the design of the store as well, which will house "a raised Japanese garden pathway throughout the store, giant petrified trees supporting the ceiling, industrial fixtures, and 1900s-era artifacts." Besides its signature denim, expect "Sol Moscot Spectacles, Case & Son's Knives, Phaidon limited edition books, and more."